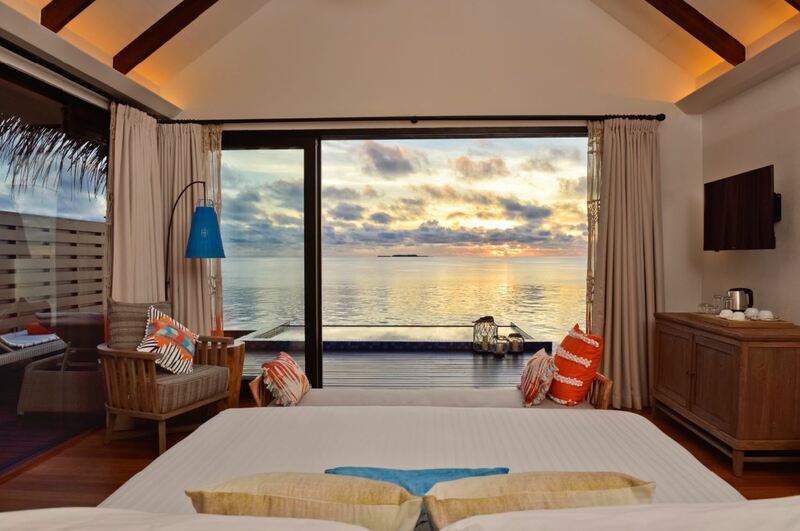 Grand Park Kodhipparu, the latest all-villa luxury resort in the Maldives has opened. The stunning one-island-one-resort destination promises its guests a wide-ranging island adventure while setting a new benchmark in luxury hospitality. Located on North Malé Atoll, a mere 20 minutes by speedboat from Velana International Airport, Grand Park Kodhipparu has been designed by the world-renowned Hirsch Bedner Associates to deliver an experience that is as luxurious as it is at one with its incredible natural surroundings. 120 idyllic beachfront and overwater villas, including 65 with their own private pools, a large infinity pool overlooking the azure ocean, stellar culinary experiences in three dining outlets, a world-class spa, a fully equipped water sports and dive centre, a recreation beach club and kids club will provide guests with everything they could possibly need for their dream getaway. In an area famous all over the world for its thriving coral and marine life, the island’s breath-taking landscape offers mesmerising views, powdery white sand beaches, a magnificent, crystal clear lagoon and uninterrupted views of miles upon miles of tranquil, turquoise sea. 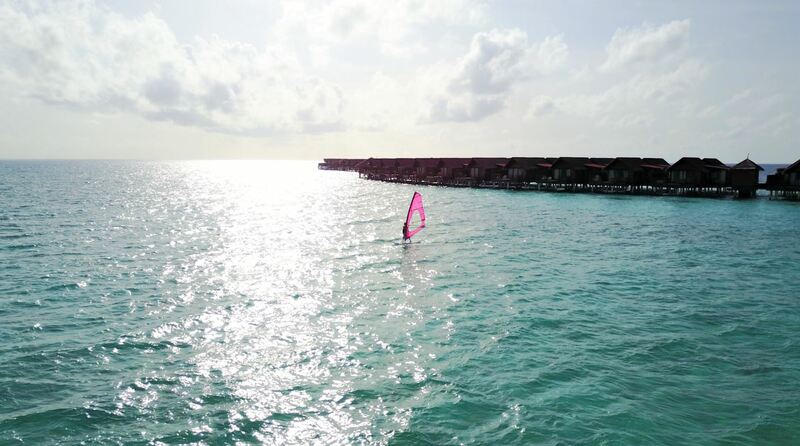 Delivering the perfect escape from everyday life, Grand Park Kodhipparu is a place where time slows down and guests can embrace the serene beauty of the Maldives, treating themselves to the ultimate luxury of relaxation and peace. 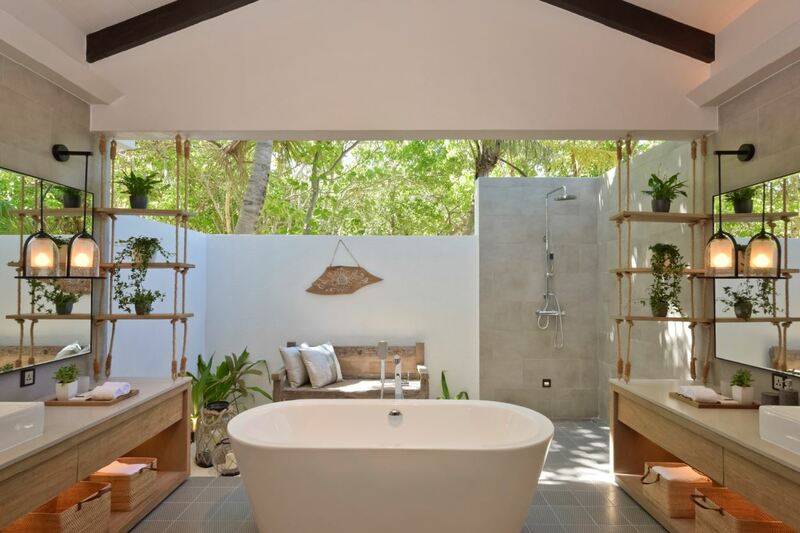 Hirsch Bedner Associates, the renowned hospitality design firm behind some of the world’s most celebrated hotels, has created an oasis of luxury and calm at Grand Park Kodhipparu, forming a resort that exudes comfort, chic and authenticity. Inspired by the Maldivian island life, local traditions and crafts, the sea and the Maldivian Dhoni boats, a fresh and unique feel is apparent in every corner of the island. From the immaculate villas to the open, breezy and beautiful public spaces, the intimate spa to the stunning sea-view infinity pool, each and every location on the island has been designed to make the very most of its incredible surroundings. 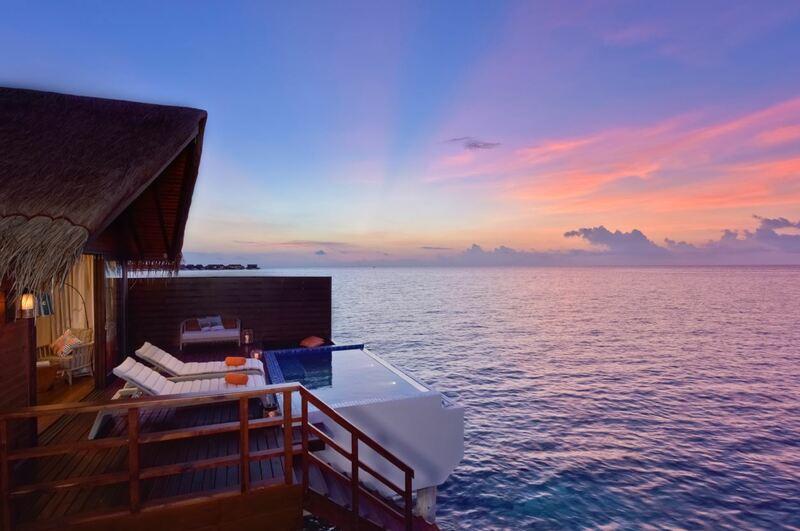 Idyllic ocean and lagoon water villas and ocean and lagoon pool water villas are the perfect spots for guests who want to be at one with the wonderful sea life on their doorsteps, whilst beautiful beach pool villas look out over white, powdery sands. Uniquely designed with two bedrooms, an exclusive living space and two bathrooms, the Grand Residence villas offer the ultimate in discretion and luxury. Grand Park Kodhipparu exudes rustic charm with its bespoke furniture and decorative accents inspired by local crafts – all alongside state-of-the-art amenities and attention to detail that ensure a luxurious stay. Raw wood, tropical architectural elements and warm hues accentuate the resort’s public spaces. An open lobby that looks out onto the vast ocean, a pool bar that exudes tropical chic with its sunken bar and stunning beachfront location and a main dining restaurant that is home to small, overwater enclaves perfect for a romantic, al-fresco dinner all seamlessly weave the comfort and luxury of the resort into the beauty of its surroundings. Whether it’s a peaceful getaway from the bustle of everyday life or a wonderfully indulgent holiday guests are after, Grand Park Kodhipparu has everything at hand to ensure guests will make the best memories for life. 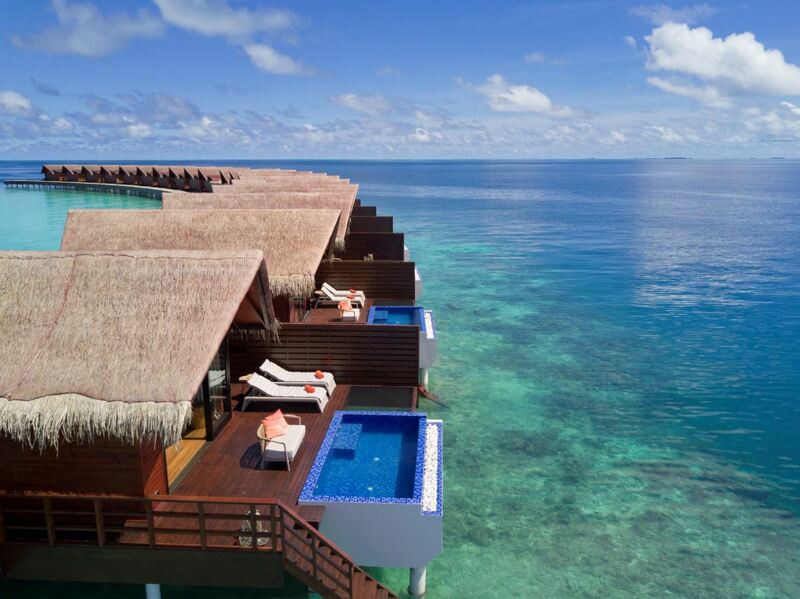 “The Maldives have long been established as a leading and exclusive resort destination. 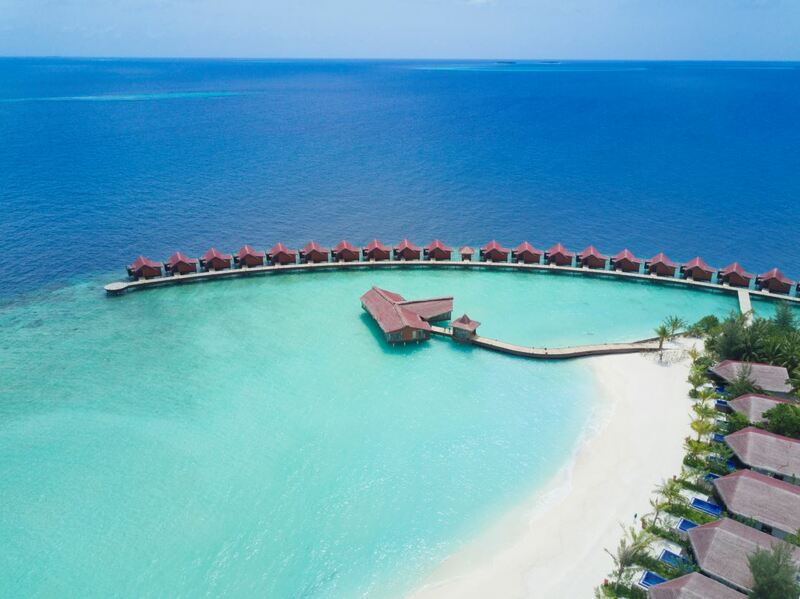 At Grand Park Kodhipparu, we have created a unique gem that will appeal to the most sophisticated travellers searching for a truly Maldivian journey and experiences of a lifetime,” said Mr Raffaele Solferino, General Manager of Grand Park Kodhipparu. When it comes to culinary experiences, Grand Park Kodhipparu has every angle catered to with three outstanding destination-dining offerings. The Edge offers a wide selection of international culinary creations and an extensive all-day dining menu featuring live cooking stations where seasonal à-la-carte specialties are prepared for guests to enjoy. Breeze Poolside Dining & Bar serves light bites throughout the day dishing up modern, light menus with contemporary interpretations of Asian and Mediterranean classics, as well as old favourites like burgers, pizzas and salads. Breeze is the perfect venue to refuel throughout the day and is adjacent to the infinity pool. Firedoor, the resort’s speciality restaurant sets the stage for special celebrations. Guests can enjoy a hive of activity at the show kitchen featuring an impressive Josper grill to fire up appetites. The custom-built oven enables the Chef to smoke, slow roast, hot roast as well as baking and grilling directly on coals which will bring a unique and exciting dining barbecue experience to the Maldives. The Maldives’ natural and beautiful landscape also presents plentiful opportunities for private themed dining experiences and guests can opt to enjoy a sunset private cruise, a tropical barbecue on the beach or a private candlelit dinner at their villa amongst a curated list of experiences tailored to different needs. A stay at Grand Park Kodhipparu wouldn’t be complete without making the very most of the extraordinary marine life on your doorstep. The resort’s Dive Centre and PADI certified team are on hand to introduce guests to some of the best diving in the world with a range of diving experiences suitable both for beginners and professionals whilst a wide array of water sports activities include catamaran sailing, parasailing, banana boat riding kayaking, wave surfing and more. Grand Park Kodhipparu’s lifestyle hosts are also available to arrange a selection of excursions including sunrise and sunset fishing trips and dolphin sightings. For guests wishing to relax and unwind, The Spa, advocates of a holistic and healthy lifestyle featuring 7 treatment rooms housed in their own, water bungalow style villas. With a wellness philosophy that is centred around rejuvenation and renewal, Grand Park Kodhipparu has partnered with Comfort Zone to offer a unique wellness experience with a selection of signature body and skincare treatments paired with the finest natural-origin products. The resort also features a fully equipped Beach Club, Fitness Centre, games and TV lounge as well as a Little Explorer’s Club (Kids’ club) to keep the little ones occupied. For cigar aficionados, Grand Park Kodhipparu has curated an exclusive selection of the world’s most sought after cigars for guests to enjoy in the private Cigar Room. From now until 31st October 2017, Grand Park Kodhipparu is offering an exclusive launch offer for all beach and water villas. Guests will enjoy 50% off room rates inclusive of daily breakfast for two and access to the Beach Club facilities. Guests will also receive 50% off all morning and evening spa treatments. To enjoy the luxury Maldivian escape at Grand Park Kodhipparu, guests can book the introductory stay offer via the hotel website at: http://www.parkhotelgroup.com/en/maldives/promotions/openingoffer . 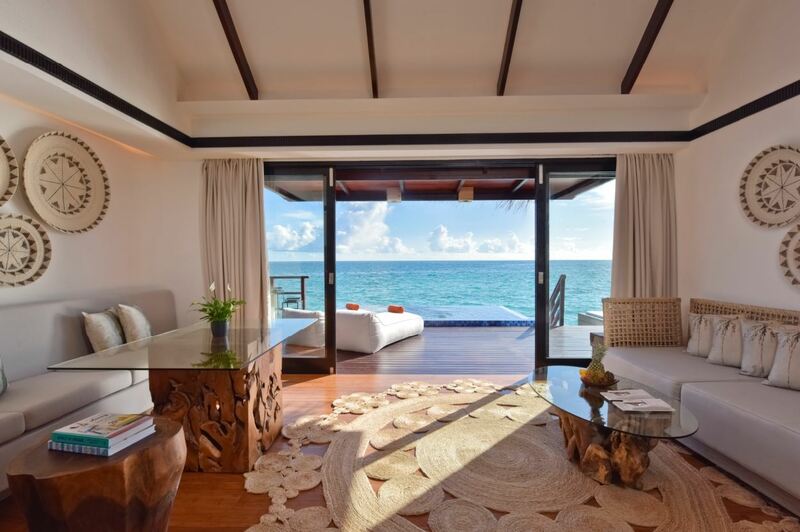 Grand Park Kodhipparu Maldives is managed by the award-winning Park Hotel Group and a joint venture between Chip Eng Seng Corporation Ltd (CES) and Park Hotel Group. The 120-villa luxury resort is the Group’s second partnership with CES, following the Hotel Management Agreement for Park Hotel Alexandra, which opened in Singapore in 2015.